Buy STI Guns in Stock at the Best Price Online from the #1 STI International Dealer in the Nation! 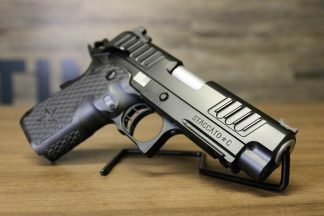 STI Guns on Sale include the STI 2011 DS Pistol: STI DVC 3, STI DVC C, STI DVC L, STI DVC S, STI DVC O, STI DVC P, STI DVC Omni, STI DVC Limited Island, STI DVC Limited, STI DVC Open, STI DVC Steel, STI DVC Carry, STI DVC Tactical, STI Tactical, STI DVC 3-GUN, STI Costa Carry Comp, STI EDGE, STI STACCATO C, STI STACCATO P, STI HEXTAC 3.0 DS. 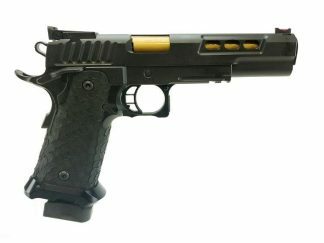 Buy STI Guns 2011 DS Pistols and STI 1911 Pistols in Stock and on Sale at the Best Price Online. Browse the Largest Selection of STI International Pistols under one roof at XGA in Texas. Buy your next STI Handgun from us and discover what makes Xtreme Guns and Ammo the largest STI International Dealer in the Nation! STI Guns created the 2011 platform, The world of Today’s Competitive shooters has been won over by its unique design and craftsmanship. The STI 2011 gives todays shooter the flexibility to customize their gun to his or her paticular needs both on and oﬀ of the range. STI Guns has taken a already time honored 1911 platform and transformed it to the 2011, A serious performing work of art. The STI 2011 has created a level of gun that gives you the ability to be a more proﬁclient shooter. Like slamming targets or protecting your livelihood. STI Guns include the STI 1911 SS Pistol: STI Staccato C, STI Trojan. STI improved on a already revolutionary design, The notably famous 1911 pistol platform. STI’s foundation is to build a solid 1911 pistol with unquestionably superior performance and workman ship. It stand’s out from the crowd, by not standing up to the status quo of simply settling for “good enough”. Building a custom quality 1911 is more than putting on pretty grips or accessories, Its dedication to quality, detail and superior craftsmanship. 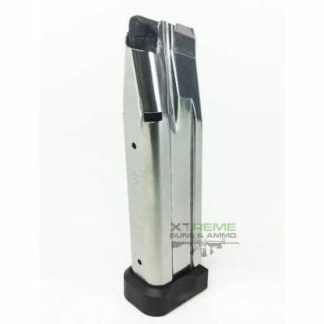 Xtreme Guns and Ammo is proud to carry the STI Guns Line of pistols, Because it is a quality Texas made with Pride Product.